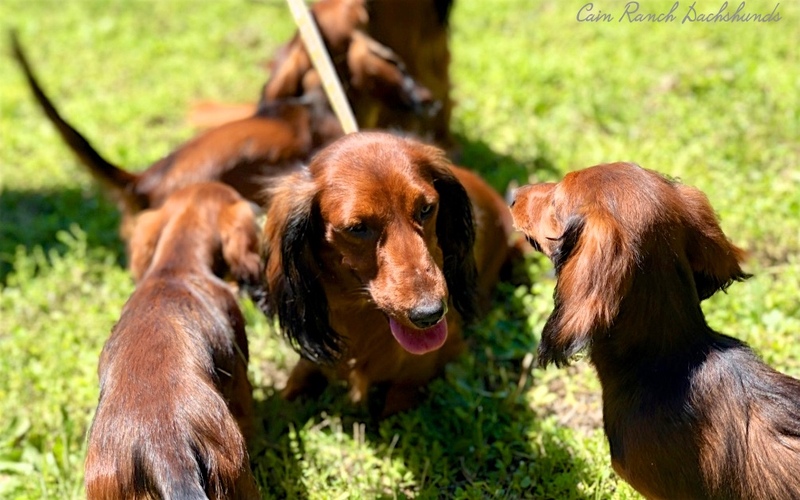 New Standard Longhaired Red puppies! We have two remaining males available now. Born Dec 16, 2018. They are over 4 months and have all shots, inspections and microchips. Parents are imported, Diva v.d. Laerhoeve, Netherlands, and Dino vom Charlottenhof, Germany. 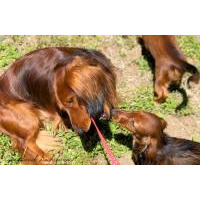 Our puppies are bred from parents with German Teckel Club and North American Teckel Club with German DTK pedigrees. 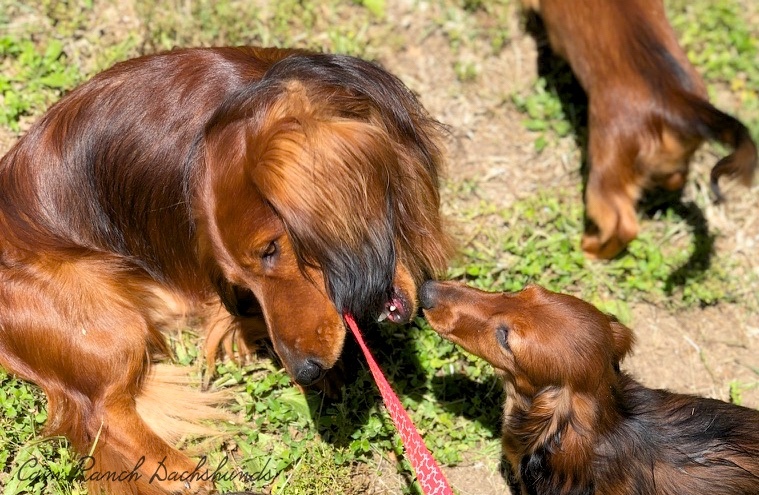 All parents are imported or from imported FCI dogs. Puppies are raised in our home and socialized with children and other dogs. They are DTK inspected as puppies and the parents must have DTK conformation and temperament scores approval prior to breeding and DNA verification by DTK in Germany.